Inspired by the abundance of great art being produced in the Triad area, The NC Fine Arts & Gifts gallery was created by The Art Shop to feature an array of beautiful local works, including fine art, hand-crafted pottery, local photography, original paintings, and an assortment of artisan gift items.The Art Shop, originally established in 1899 as an art gallery and photography shop, is one of Greensboro’s oldest and most well respected businesses. 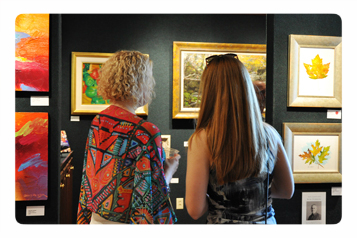 It is with great excitement that they introduce the NC Fine Arts & Gifts gallery adjacent to the main gallery that features a unique visual perspective of North Carolina’s rich scenery and history. We invite you to learn more about our local NC artists here and visit the gallery in Greensboro to view the latest work from our local NC artists today.